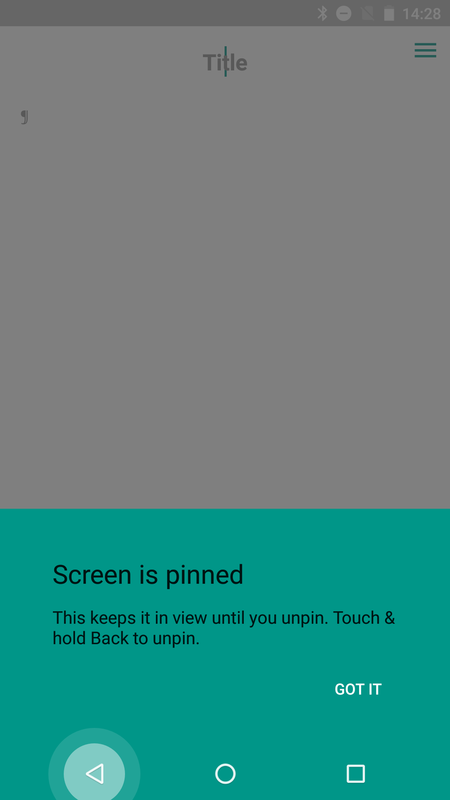 That latter part is probably why the unpinning shortcut was changed in Android N. Now, all you have to do is long tap on Back, regardless of whether some Accessibility service is enabled or not. Nice, eh? Even better, you're not pressing Recents at any point, so it no longer throws you back into the Recents screen. To quote Artem's reaction: "Hallefuckinglujah." 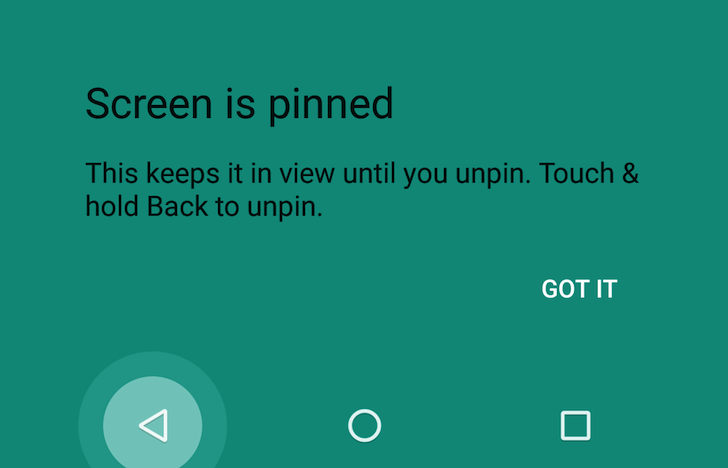 Screen pinning and toast message for screen unpinning (with accessibility services off). 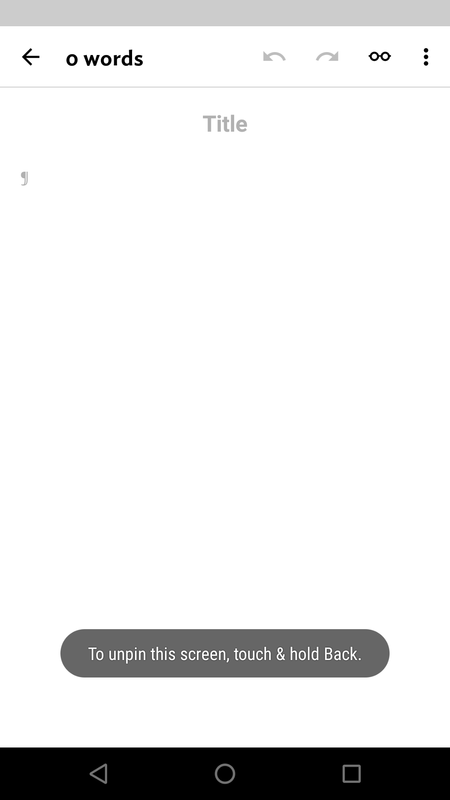 There is one bug with this change though. 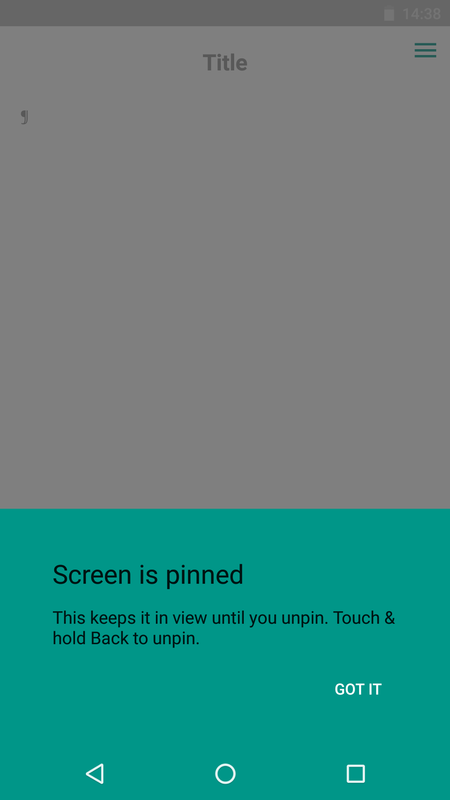 When an accessibility service is enabled, the screens that explain the feature and the toast error message haven't been completely updated. 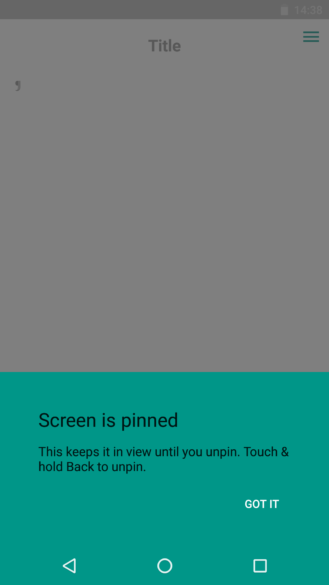 The green overlay that shows up when you first pin a screen has its text changed, but the back button isn't highlighted in the navigation bar. And even though you will need to tap and hold Back to unpin, your N phone will tell you to tap and hold Recents Overview. 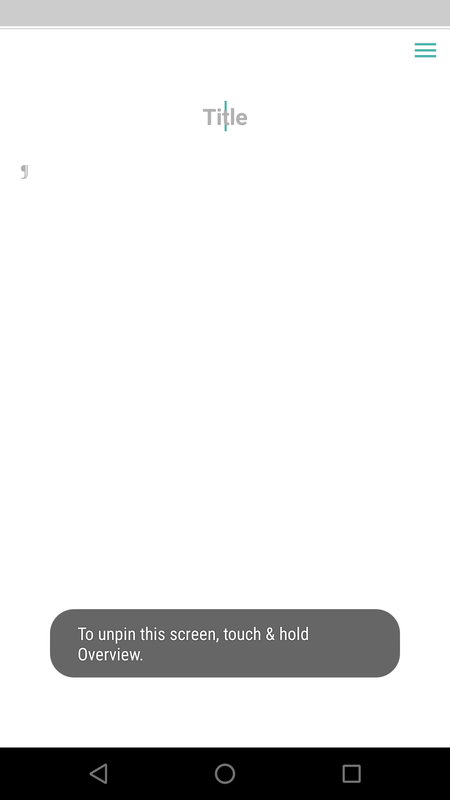 With an accessibility service turned on, the Back button isn't highlighted in the green box and the toast message incorrectly tells you to tap Overview instead of Back. Artem has filed a bug on the AOSP tracker to notify the team of these two glitches. As it stands, they're only going to confuse anyone with some Accessibility service turned on, like they did with the original Android Police commenter who brought this change to our attention.